EL-SD - Repeating Patterns Out now! Finally the new 7" vinyl by EL-SD is up for sale! Finally it’s time for another smash hit release from Atlas Rec. 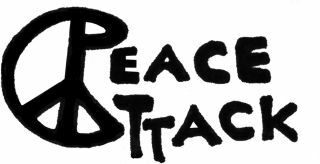 This time it’s with the newfound friends Peace Attack Records. With ATL 003 / PAR 001 we’re breaking old patterns. After many nights of thinking we decided that the cover should be some thing beyond, and beyond it is. The record is delivered with a specially designed t-shirt integrated in the cover. Sounds hearty? IT IS! You would be closer to be correct if you called EL-SD a family than if you called them a band. To be totally accurate, it is a small collection of families. The number of children they have produced to this date trumphs over it’s peer in band members, the sum of hours in the playground is greater than the hours spent in the reheasal space, and so on. It is natural to think that this would curb the band’s progress – but in fact it’s stimulating. The EL-SD that the listener encountered on the releases before Repeating Patterns have matured and grown in it’s suit, boys have indeed become men. The early years of eager exploration have now led to the result that the band have landed in a homogeneous expression that is spelled catchy pop songs in a context of skewed indie-rock. Everything repeats itself. Negative patterns are made to be broken. Influences are refined. 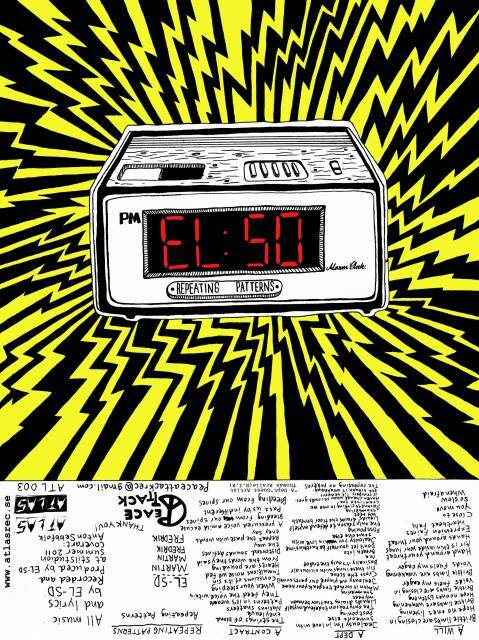 EL-SD 2011 offers a perfectly balanced mix of Sonic Youth, The Jesus Lizard, Shellac, and the Swedish skew pop legends Brick. Repeating Patterns is all about growing up without being boring.